It happened again. I had to tell someone that they signed a contract that they never should have signed. Warning! Read the Fine Print on a Contract! I asked if she had her contract. She did. She repeated that she made sure she could get out of it at any time. She asked. She told him she wouldn’t have the business next year. She is only paying $2 a month for the use of the machine. I know she felt like a sucker. I’ve been there. That’s why I’m so adamant about creating business owners who are informed Merchant Services consumers. I could tell the only thing fighting back the tears was the anger welling up inside her. She was just as angry at herself as she was at the rep.
What are her options not that she signed a contract? 1) Call up the rep and raise holy hell and hope he eats the charges and gets her out of the contract. He knew she was possibly closing when he signed her up. Call up the company if that fails and try again. (She had a 30 day review period and she was about 20 days too late to exercise it.) But she can threaten to report them to the BBB and the local Chamber of Commerce. 3) Sell the business and hopefully convince the new owner to take over the contract. The owner may do it. But she also will be committing to higher fees and percentages than I would have given. 4) Pay $25 (Plus) a month for 3 years until her contract expires. 5) Pay whatever is required to get out of the contract. Wow, I’ve heard my share of company horror stories. I’ll go into detail in a later post. What I want to quickly say is, before signing on a dotted line, enter the company name followed by scam or complaints. If the Merchant Services company you are dealing with is notorious for ripping people off, you’ll see reports on them. Also, check the BBB. See if they have complaints. I hate to say it, but there are a lot of really bad companies that are more than willing to get you on a technicality or flat out lie. Want an example, check out what is being said about Payment Systems Corp. This PDF describes what end-to-end encryption for mobile devices. Red Alert: If you are a non-profit, you could be adversely affected by Visa’s new fees called FANF. Read on to find out if you are affected. On April 1, 2012, Visa initiated a new Fixed Acquirer Network Fee (“FANF”) assessed to acquirers on a merchant Taxpayer ID basis, which many processors started passing through to merchant’s in May 2012. The new FANF charge will result in additional charges for all businesses that accept Visa credit and debit cards, regardless of who their merchant services provider is. Here’s the rub: It also will affect most Non-Profits! It doesn’t matter what processor you use. They may pass them on quarterly or monthly. But they will pass them on. Separate FANF charges will be imposed on (i) merchants processing transactions where a cardholder is physically present (“CP Merchants”), with the exception of merchants primarily operating as Fast Food Restaurants and (ii) merchants processing transactions where a cardholder is not physically present (“CNP Merchants”), which shall include merchants acting as merchant aggregators for other merchants, or merchants primarily operating as Fast Food Restaurants (MCC 5814). If a merchant falls into both categories described above, the merchant will be charged the FANF charge and the MSP Network Fee as both a CP Merchant and a CNP Merchant. The MSP Network Fee will be charged to all CP Merchants and CNP Merchants regardless of the type of merchant. For CP Merchants with less than 50% of their monthly Card Present sales volume from the High Volume Merchant Category Codes (“High Volume MCCs”) listed below, the FANF charges will be assessed on a per location basis, with fees ranging from $2.00 FANF per location per month for CP Merchants with one to three locations to over $24.00 per location per month for CP Merchants with more than 250 locations. For CP Merchants with at least 50% of their monthly Card Present sales volume from the High Volume MCCs listed below, the FANF charges will be assessed on a per location basis, with fees ranging from $2.90 FANF per month for CP Merchants with one to three locations to over $5.00 FANF per location per month for CP Merchants with more than 20 locations. When you set up your merchant account, you are given an assigned code within the system by your representative. It is important to know if you have the right code entered to ensure you are accounted for correctly. An exception to FANF involves the assignment of MCC 8398, and merchants must be eligible. Visa considers the following criteria to determine eligibility. If any of these conditions are not met or Visa should determine the merchants business model is more in line with another MCC, even if closely related to 8398, FANF applies. And if we misclassify a merchant, Visa may revisit these criteria for up to 2 years and bill back accordingly. So is your merchant 8398? Merchants classified under this MCC are non-political fund-raising organizations (organizations engaged in soliciting contributions) and social service organizations engaged in social welfare services. This MCC includes advocacy groups, community organizations, and health agencies. Although Charitable and Social Service Organizations may conduct much of their business in a non-face-to-face manner, they are not considered direct marketing merchants because they do not directly solicit their business primarily through catalogs, brochures, telemarketing, etc. These merchants’ transactions should be classified under this MCC, but each card-not-present transaction must be identified with the appropriate mail/telephone order or electronic commerce indicator value. Merchants classified under this MCC are associations engaged in civic, social, or fraternal activities. This MCC includes alumni associations and clubs, booster clubs, businesspersons clubs, community membership clubs, fraternal lodges, fraternities and sororities, social clubs, veterans’ organizations, and youth associations. Merchants classified under this MCC are membership organizations that promote the interests of a national, state, or local political party or candidate. This MCC also includes political groups organized specifically to raise funds for a political party or individual candidate. Merchants classified under this MCC are religious organizations that provide worship services, religious training or study, or religious activities. This MCC includes churches, convents, monasteries, shrines, temples, and synagogues, among others. Merchants classified under this MCC are automobile as­sociations and clubs. These merchants provide a variety of special services to its members such as travel and road condition information, maps and guides, and special rates at restaurants, hotels, and at car rental agencies. These merchants often charge an annual membership fee. Merchants classified under this MCC are organizations or associations that cannot be classified by another, more specific, merchant category code. This MCC includes historical clubs, labor unions, poetry clubs, art councils, and tenant or condominium associations. This MCC does not include membership to health and athletic clubs; these merchants must be classified under MCC 7997—Membership Clubs (Sports, Recreation, Athletic), Country Clubs, and Private Golf Courses. Take steps to protect your organization. Make sure you are classified in the right category and be prepared to have fees assessed in addition to your regular ones should you not be an 8398 qualifying organization. If you have any questions concerning your status, your billing, your options, I would be happy to review your current situation and offer a non-biased evaluation. We knew it wouldn’t be long before we saw the industry squirm around the Durbin Amendment that gave Merchants a break on Credit/Debit cards from the Big Banks. On April 1, 2012 the bank card networks introduced new fees that will almost certainly be universally passed on to Merchants. MasterCard Inc. is adding two new network fees and is expected to introduce a new debit interchange rate in the controversial small-ticket sector. 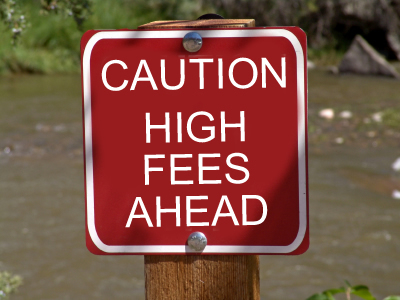 The most significant fee is Visa Inc.’s new Fixed Acquirer Network Fee (FANF). Merchants won’t actually be affected until July. The FANF is a monthly fee that will affect all merchants, but, will be collected quarterly. These new fees are different than interchange in that they are booked as Visa’s own revenue instead of being paid to card issuers (Banks), like interchange. Like everything else in Merchant Services, FANF is confusing and complicated so I’ll try to break it down to bite-sized pieces. The MCC (VISA Merchant Category Classification Code) you are designated by plays a role in the amount of the FANF charged each month. The main factor in determining the amount of the FANF is whether a business processes the majority of its transactions in a card present or card not present environment. The amount of the Fixed Acquirer Network Fee for card present businesses will be based on the number of locations. Businesses with one location will be charged $2 – $2.90 a month, up to $85 a month for businesses with 4,000 or more locations. Again, this will show up quarterly on your statement. For card-not-present merchants, Third Party Merchant Aggregators1, and fast-food restaurants, the monthly fee will be assessed based on Visa volume and range from $2 for sales of $50 or less up to $40,000 for merchants with more than $400 million in gross sales. The fee table in this category reportedly has at least 16 tiers. Visa will waive the FANF for charitable organizations classified under merchant category code 8398. Exactly how the fee will be waived isn’t quite clear at the moment, but early indications are that Visa will charge the FANF and then provide a rebate at a later date. 1Third party payments aggregation (TPPA) is a description used for merchants that are selling a product or service that they do not own. The best example of a TPPA (aggregator) is PayPal. They simply facilitate the exchange of money between two parties. I just have some interesting experiences lately I’d like to share. I am working with a new Zonta chapter and we had a manager of a Refugee Center present to us. She handed out slips of paper that explained what $25 would buy for the center. At the end of the presentation, there was a bit of silence. She sort of asked for a donation. But the slips were geared towards sending money in and the address wasn’t posted. She left empty handed. My heart broke. I immediately contacted her about an amazing program that is spreading nationally and is starting out in our neck of the woods (Colorado) that would allow her to offer something to provide incentives to donate on the spot. It’s called NetGreenNow. (You can look them up.) I then talked to her about the power of being able to take donations right then and there through smart phones. I showed her how we can create a link that can be put on her fundraising website, but could also be accessed from smart phones that not only allow people to immediately donate, but give them to donate via CC, personal check or business check at any amount and with a single donation or a monthly donation. They can even put a message of who it is in memory of. I asked her how it would have felt to be able at the end of the presentation to ask people to take out their cell phones and have them go to this website and ask them to give whatever they could to help out. What a change. Her eyes lit up! Now, take it a step further. What if we could have sent that link to our family and friends in a text message or on facebook saying we had just witnessed something that meant so much to us and we felt was so helpful to our community that we wanted to ask them to also donate whatever they could. How powerful is that? This gives anyone the ability to feel like they are helping (even if they, themselves, don’t have the funds) and increases not only the chance to get donations, but spreads the word about the organization. I can even set it up so you can create multiple “portals” to allow you to track who is bring in what from where all securely with nothing more than a pc, tablet. or cell phone. You may be able to add this service and save money! So, how much will it cost? Well, possibly nothing because I can probably save you enough with your processing to pay for the service. I help non-profits keep as much from their donations as possible and offer out-of-the-box solutions to make their fundraising more lucrative. Interested in learning more, then just get in touch with me.